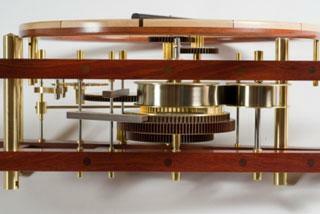 Will Matthysen is responsible for the design, prototyping, detailing and production of all his clocks. Numerous concept sketches are made for each clock, generally small three-dimensional views, followed by scaled technical drawings enabling him to visualise the whole object. The scaled working drawings are done to resolve every detail. Will does not regard a working drawing as the final stage in design, but as part of an ongoing process which only ends when the piece is completed. Wood as a natural material is incorporated into the overall design, and should also be allowed the freedom of influencing it. 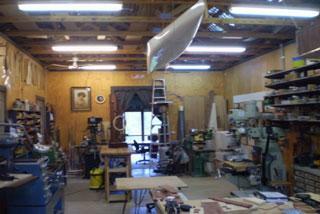 When developing a totally new design, Will constructs a working prototype. This enables him to see the piece in the round, to fine tune the workings of the mechanism, and see how the shadows fall once illuminated by artificial lighting. 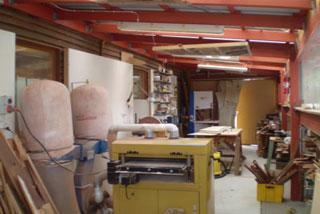 It is here that he makes any final changes before commencing production. 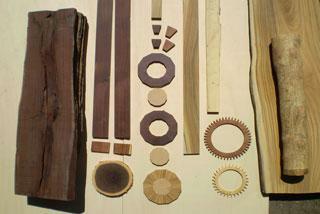 Free-form sculptural pieces, can be representational, wall mounted, size varies. Long-case clocks, in wall mounted cabinet, sizes from 1.0m to 1.8m high by 0.4m to 0.6m wide. Mantel clocks, in free standing cabinet, sizes from 1.1m to 0.6m high by 0.4 to 0.5m wide. All clock movements can be fitted with complications such as strike mechanism and lunar dial. Will Matthysen employs both traditional hand craft techniques, as well as computer numeric controlled (CNC) equipment to produce his clocks. 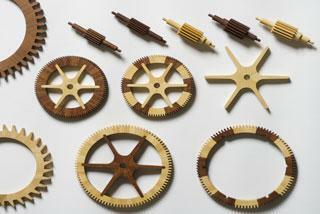 This enables him to combine woodworking skills which celebrate the quality of the material, as well as the intricate mechanisms and precision engineering associated with clocks. Depending on the nature of the project, the various components of the clock movement and clock case are made from brass and steel, wood or composite material. Success depends on a sound and well thought out design, appropriate material selection, sensible detailing and construction, and a manufacturing process which produce the components to the desired tolerance and finish. 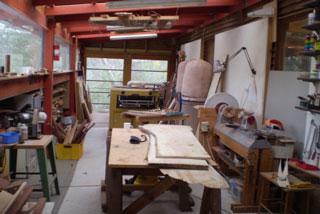 Great care is taken in the selection and seasoning of the wood. 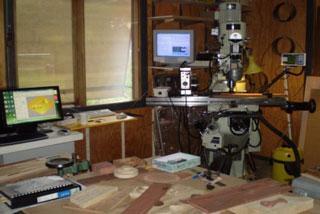 Quarter sawn wood is inherently more stable than back sawn material, and hence is preferred for use. Where the wheels are made of wood, the wood is cut into segments and then glued to form a ring where the grain runs parallel to the tooth of the wheel, giving it maximum strength. The wheels and pinions are mounted on steel arbors, and the pivots run in stainless steel and ceramic micro ball races to minimize friction. 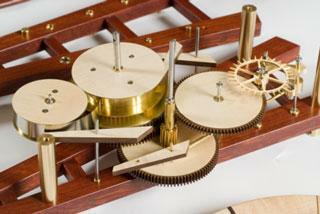 The entire clock movement can be dissembled for future service of repair, and is fully adjustable. 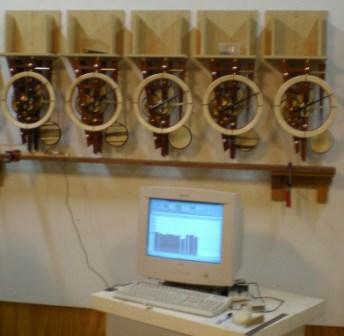 After completion, the clock movements are mounted on a test stand or wall. 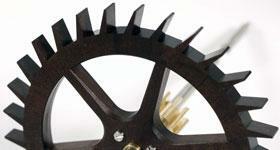 The Microset Timer is set–up with an infra-red sensor to time the period of the pendulum. Initially the clocks are brought to run on time; then the data is fed into a computer which analyses it over a period of weeks. The resultant graphic data can now be used to detect where the clock needs further adjustment.